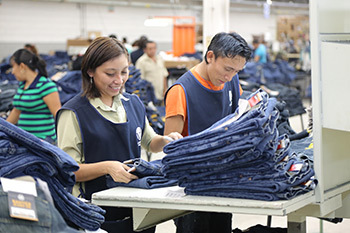 VF associates from our garment manufacturing facility in Acanceh, Yucatan, Mexico, do a final inspection of products before they are prepared for packing and shipping. A VF associate prepares to sew a pair of jeans in our garment manufacturing facility in Acanceh, Yucatan, Mexico. 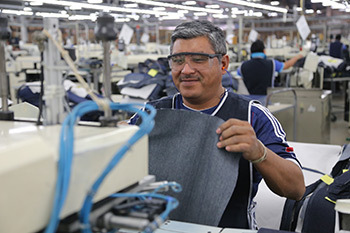 More than 30 million pairs of jeans are produced at this facility each year. 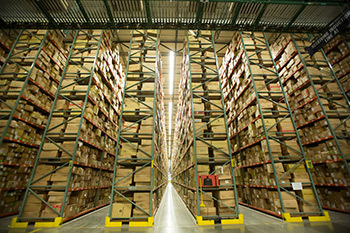 A VF associate readies product to be shipped out of the VF Outdoor Coalition Distribution Center in Visalia, Calif. 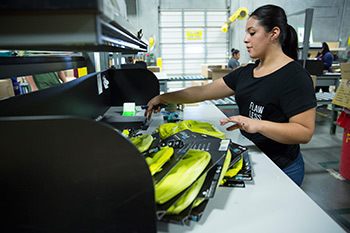 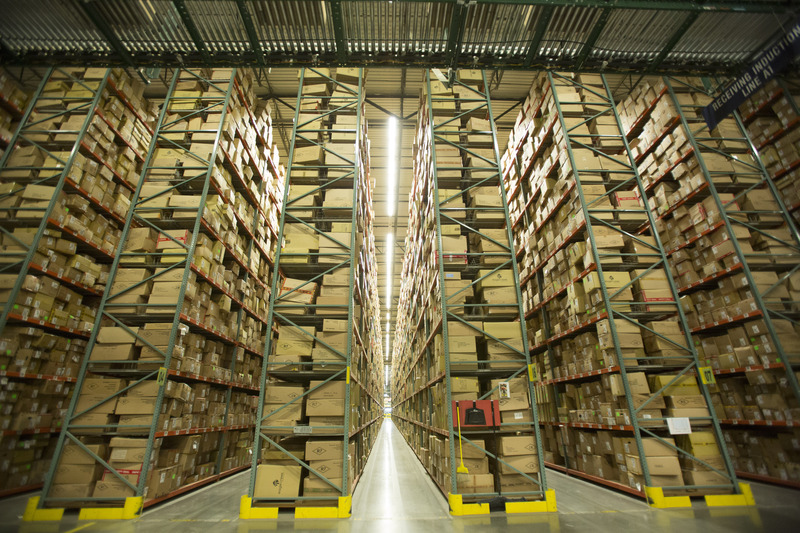 The VF Outdoor Coalition Distribution Center in Visalia, Calif., ships products from brands like JanSport®, Eagle Creek® and more.